Welcome to the Bankers Life branch in Chico. Our team of dedicated insurance agents and Financial Advisors supports the community with knowledgeable life and health insurance and retirement planning recommendations. Our branch is also a proud participant of the Bankers Life annual “Forget Me Not Days” campaign, which raises funds for the national Alzheimer’s Association. You can find us located on the 1st floor of the Waters Edge Building. With a history dating back to 1879, Bankers Life provides a broad selection of life insurance and health insurance products designed especially for Americans who are near or in retirement. With more than 260 offices across the country, our more than 4,200 insurance agents/producers live and work in the communities they serve. Our agents/producers at the local Bankers Life in Chico, CA office take the time to get to know you as their customers, listen to your needs and values, and are dedicated to helping you meet your goals for a secure retirement. Get to know Bankers Life - and learn why our more than 1.5 million customers trust us to help protect their financial future, ensuring a healthier and rewarding retirement. 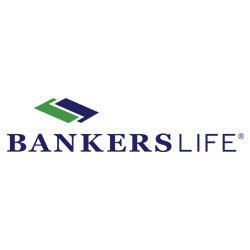 The Bankers Life brand is a part of CNO Financial Group, Inc., whose companies provide insurance solutions that help protect the health and retirement needs of working Americans and retirees.